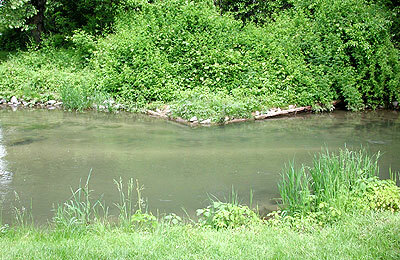 This trout fishing ring is hand made and christened by full immersion in Falling Springs Stream of Chambersburg PA. 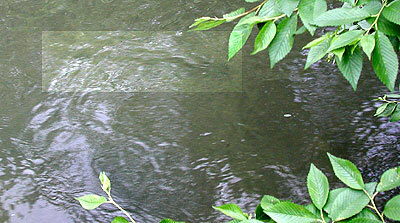 There are four trout that live in our back yard, Brooke, Brownie, Spot and Palomino Bob. We are extremely careful to not let them get too close to your ring! They love it! 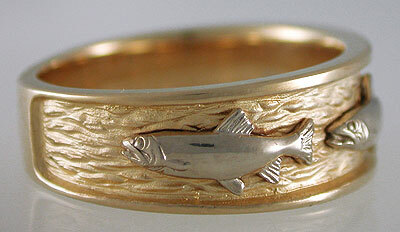 Your Falling Springs Trout Ring can be done in any combination of gold or platinum. These are each hand made using the lost wax method. The fish are securely drilled through the ring and soldered. 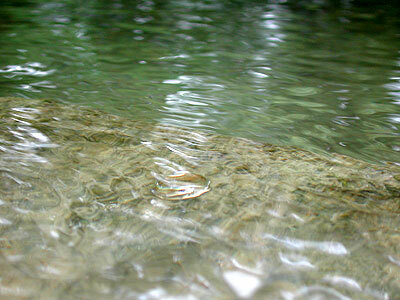 The textured background is the soft ripples the water makes falling over the limestone in the stream. The ring is 8mm wide in the front and tapers to 5mm in the back. 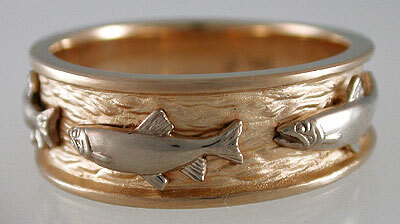 The rear of the fishing band is left smooth and polished for future sizing needs. Sizes over 11.5 are $40 additional per half size for 14kt or your local jeweler may size it up for you. If you are unsure of your size or just guessing, your local jeweler can size it for you, there are no returns. 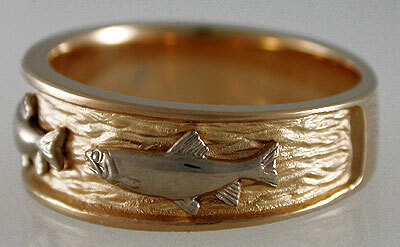 Your ring will be sized in the wax stage as your requested and fish are spaced based on that size. Please be accurate in selecting your size. Photo under natural sunlight. This is what the fishing warden will see when they ask for your license. They want a closer look at your trout wedding ring! Brooke coming in for a look at your ring!